A. Enable Partner Relationship Management - Partner Relationship Management needs to be enabled to allow your Field Officers access to TaroWorks through Communities. B. Enable Communities - TaroWorks 3.0 leverages the Salesforce Partner Community to give your Field Officers access to the TaroWorks Mobile application. They can also be leveraged for sharing documentation and reports. C. Create Profile for Back-End Users - A security profile is necessary so you can control who can access and use TaroWorks to create Jobs. During the installation process you will have the choice to grant permissions to administrators only, to everyone, or to certain profiles of your choice. D. Create Profile for Field Officers - A security profile is necessary for your users accessing TaroWorks so you can control who can access and use TaroWorks via their mobile device. You'll assign permissions with this profile during the installation process along with the Back-End User profile. E. Enable Salesforce CRM Content - This step allows you create content libraries. 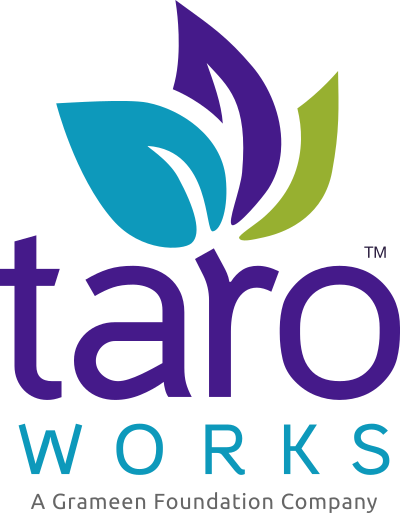 Without CRM Content enabled you will not be able to install TaroWorks. If you are not on TaroWorks version 2.27.0 or above, please upgrade to 2.27.4 before upgrading to TaroWorks version 3.0. In order to complete the upgrade, you need to be provisioned Communities by Salesforce. Please contact support@taroworks.zendesk.com to obtain Communities before your start your upgrade. If you upgrade to TaroWorks 3.0 without the proper licensing, you will be blocked from using TaroWorks until they are provisioned. Tip: Type 'Partner' in the search bar above the menu. Navigate to Customize > Communities > Settings. Tip: Type 'communities' in the search bar above the menu. Enter a unique Domain Name if it is not already set. Click OK on confirmation pop-up window. Navigate to Administration Setup > Manage Users > Profiles. Tip: Type 'Profiles' in the search bar above the menu. Select 'Standard User' for Existing Profile. For Profile Name, enter 'TaroWorks User'. Click Back to List: Users link. From the Profiles page, click the New button. In the Existing Profile drop-down list, select a 'Partner Community User' profile to clone. For Profile Name, enter 'TaroWorks Partner User'. Scroll down to the Administrative Permissions section and check API Enabled. Navigate to Customize > Salesforce CRM Content > Settings. Check Enable Salesforce CRM Content. Check Autoassign feature licenses to existing and new users. Congratulations, you are now ready to upgrade your TaroWorks managed packaged into your Salesforce instance! Please continue to the next step of your upgrade: 02. Update TaroWorks in Salesforce.